ECR commenced the second phase of its 2011 sampling programme for the Sierra de las Minas gold project area, in which the Company holds a 100% interest, in late July. The objective of this phase has been to evaluate known prospects within the project area and prioritise them for further exploration. The first phase of the programme was completed earlier in the year at the El Abra prospect, yielding numerous high grade results. For more information please refer to the Company’s announcement dated 15 May 2011. Assay results for 58 samples taken during July and August have now been received, with the best results given in the table below. Assay results are awaited for a further 25 samples. Historic results reportedly obtained from the same prospects by La Plata Gold, a Canadian company which conducted exploration in the Sierra de las Minas area during the 1990s and early 2000s, are also included in the table for comparison purposes. The Company considers the divergence between its sampling results and those of La Plata Gold for the same prospects to be within expected bounds. It was not the Company’s objective to resample the precise locations sampled by La Plata Gold. All samples specified in the table below were prepared for fire assay and ICP elemental analysis by ACME Analytical Laboratories in Mendoza, Argentina. ACME Analytical Laboratories is certified to ISO 9001 and ISO/IEC 17025 standards. 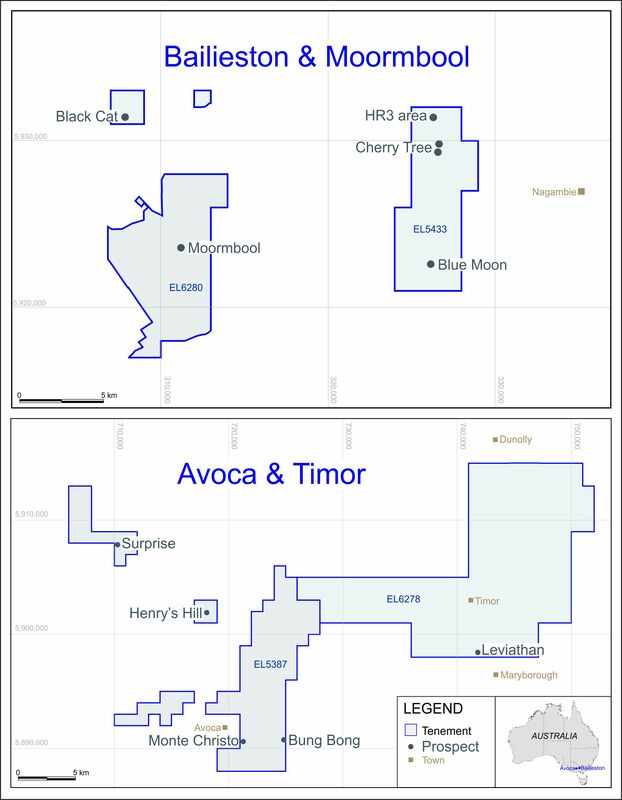 The majority of the 13 prospects sampled by the Company during July and August present as mineralised outcropping “pod” systems integrated into localised and regional shear structures. On the surface mineralisation occurs as discontinuous quartz veins embedded in shear belts. Of these 13 prospects, four (Maestro Agüero, Mina San Antonio, Casa Viejas and Mina Azul, representing a combined potential strike length of approximately 800m) are judged to be priority targets for further work. Anomalous base metal values, including high grade copper, were returned at a number of the prospects, and further exploration will proceed with a view to ascertaining whether these base metal values are of economic significance. Maestro Agüero is at present considered to be the Company’s highest priority target at Sierra de las Minas, aside from the El Abra prospect. Preliminary investigation indicates that Maestro Agüero is a shear hosted vein system with a strike length demonstrated by outcropping of some 350m and inferred continuity exceeding 550m. The outcropping quartz veins within the shear show abundant haematite, copper oxide and visible gold mineralisation. More detailed sampling of Maestro Agüero, Mina San Antonio, Casa Viejas and Mina Azul is planned. The Company will also proceed to evaluate and prioritise additional prospects through preliminary mapping and sampling. Only around 30 per cent of the prospects known to exist within the Sierra de las Minas project area have been sampled by the Company so far. A ground based pole-dipole geophysical survey is scheduled to commence at the El Abra prospect later this month. This survey will aid detailed planning of the 1-2,000m drilling programme proposed to take place at El Abra later this year. The drilling programme will commence at the El Abra prospect but could potentially be extended to encompass other prospects within the Sierra de las Minas project area. “The achievement of consistent high grade assays from sampling in the Sierras Las Minas complex continues to generate excitement within ECR, and further work will now begin to focus on developing our knowledge of zones that may be economic to mine. The Company has sampled approximately 2km of vein length at Sierra de las Minas so far, and with mineralised widths at surface frequently exceeding one metre and samples obtained to date from sections identified as potentially suitable for selective mining returning an average grade greater than 8 g/t gold, the possibility of mining and transporting high grade ores to an existing plant elsewhere may now be considered. This may provide an inexpensive and relatively rapid route to cashflow from the Sierra de las Minas project. The geophysical programme due to commence at El Abra this month is expected to enhance our geological understanding of the prospect enormously and is intended to allow ECR to derive maximum value from the proposed drilling programme, which will have the objective of confirming the grade and extent of mineralisation at depth.